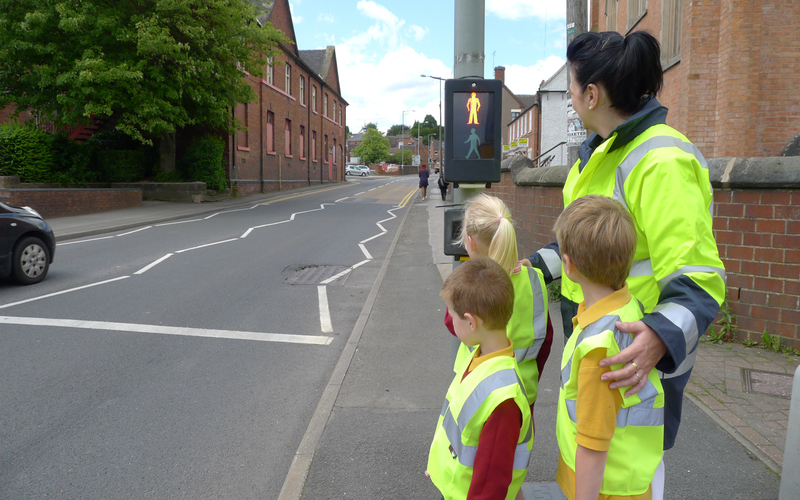 Road safety is an essential ‘life skill’, traditionally delivered to children throughout their school years by dedicated Local Authority road safety teams, often working in partnership with the Police and Fire Services. Due to Government cutbacks in public spending, road safety around the UK has taken a significant hit with some services being scaled back or stopped completely. There is however a viable alternative uniquely offered by TTC Road Safety Services (TTC RSS), part of the successful TTC Group of companies. TTC RSS is managed by experts in the field of road safety education who come from a long career in Local Authority road safety. This assures a consistent and thorough approach to road safety delivery within all sectors of our communities. Whether a primary school, high school or college, TTC RSS have a programme for most year groups. In the early years training focuses on pedestrian training skills while before going to high school the emphasis shifts to looking at safe and independent travel. As pupils progress towards driving age, the focus is on developing those essential skills that are necessary to become a safe driver. Schools that have opted for independent status can now access a comprehensive and personalised road safety service. This can be from a one-off intervention to a suite of initiatives spanning the entire year groups. Many organisations operate minibuses primarily driven by well-meaning and enthusiastic volunteer drivers. It is likely that unlike coach drivers, minibus drivers will not have undergone any formal training. A minibus driver coaching scheme, particularly if it is linked to a permit, can be a wise investment as it ensures the best possible steps have been taken to minimise the risks. TTC RSS’s operate a minibus scheme that is flexible and can accommodate anything from a single driver to the large fleet. For those with specific scheme requirements, TTC RSS can accommodate these into a personalised programme with an on-line booking and scheme management system. Wirral Council contracted TTC RSS to deliver the practical driver assessment and coaching element of their minibus scheme. As well as recruiting, training and monitoring local minibus assessors, they provided the road safety team with a web-based programme management system that has streamlined their administrative processes and provided a 24/7 on-line booking service for participants of the scheme. Warwickshire County Council wanted to run some cyclists training to encourage cycling to work. TTC RSS wrote an innovative in-class and on-road course, managed the bookings and course delivery, providing a seamless service for the council and their client.